In the traditional Japanese tea ceremony, the finely ground green tea powder called Matcha is an essential ingredient. It has an intense green color and a sweet, sometimes slightly bitter taste. Matcha is regarded as a particularly noble tea variety and is priced accordingly. The green tea powder is especially famous for its healthy characteristics. The special way in which the tea leaves grow produces high levels of theanine, antioxidant catechins such as EGCG as well as vitamins A, B, C and E. The high theanine content in combination with caffeine improves mental focus and provides an energy boost without the negative side-effects such as jitter or crash usually experience after the consumption of coffee. Matcha production mainly takes place in Japan and China. However, The most famous regions are all located in southern Japan including the Fukuoka Prefecture, Uji, Hangzhou and Nishio. 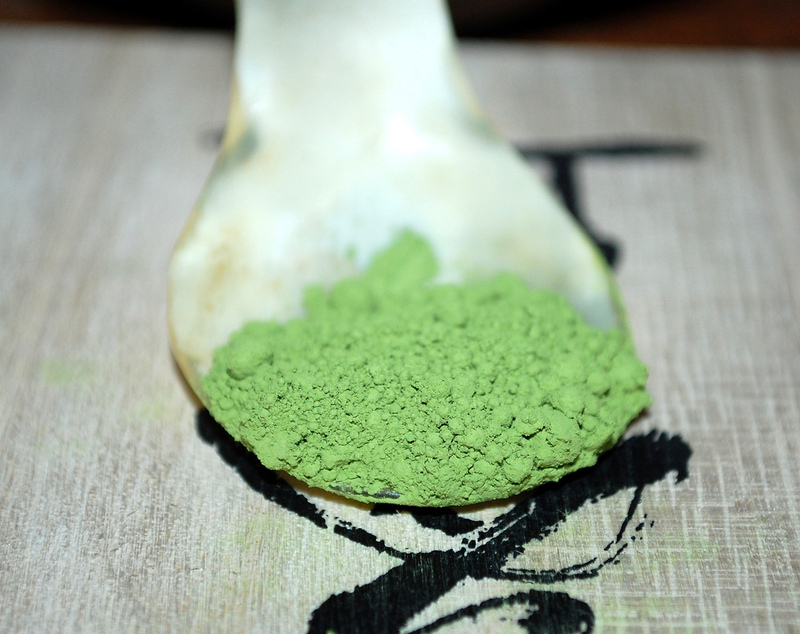 The green tea powder is made from fully shaded leaves. This means that the leaves are covered with lightproof nets about four weeks before harvest to increase the quality through an extension of the maturation period. The tea is steamed, dried and ground, so that the stems and coarse leaf vessels get detached from the leaf tissue and are then separated with an air stream method. Only the finest leaf tissue, the so-called Tencha, is further processed in granite mills. To produce about 30 grams of Matcha powder, the traditional granite stone mills need one hour in order to achieve the finest possible particle size. 1-2 grams of Matcha powder are placed in a bowl and doused with 60 to 100 ml of hot water. The water should have a temperature of about 80°C and should not be too hard. A so-called Chasen is used specifically in Matcha preparation. The traditional Japanese bamboo whisk with its 80 little bristles perfectly blends the powder and water. The Chasen is moved back and forth from the wrist in the form of the letter ‘M’. The whisking creates fine bubbles that form a homogeneous, creamy firm foam layer on the tea’s surface. The higher and firmer the foam, the better the tea has succeeded. In addition to the preparation of this strong tea (koi-cha) with plenty of tea powder and little water as described above, the Japanese tea ceremony also knows thin tea called ‘usu-cha’. This version simply contains less powder and a higher amount of water. Apart from the preparation of the traditional Matcha drink, the green tea powder has long been an integral part of Japanese cuisine. Nowadays, Matcha is an ingredient in a wide variety of food and drinks. 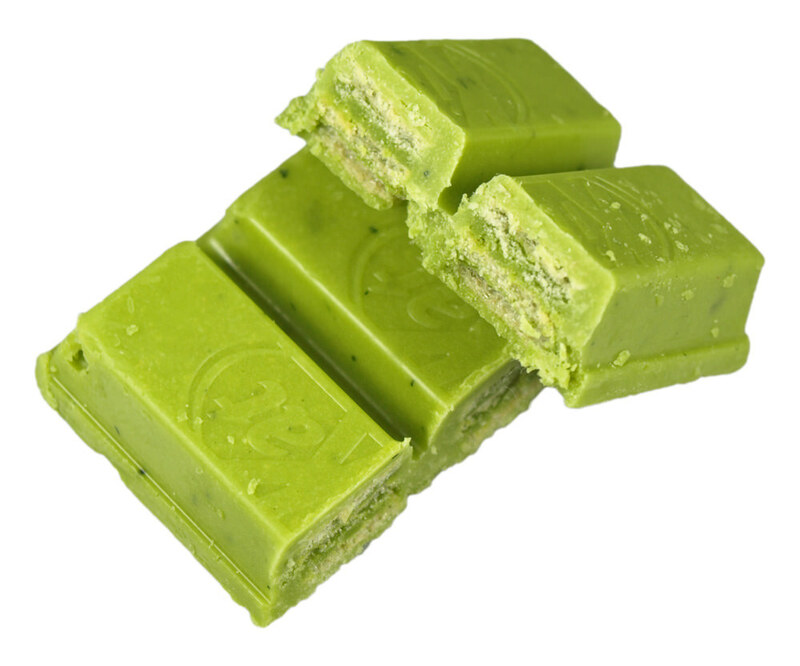 Classic examples are the use of Matcha in mixed milk or juice beverages, yogurt, ice cream or chocolate. It is also often used to flavour and dye typical Japanese dishes such as soba noodles and mochi or to refine other teas. Traditionally, this would be done with Sencha, Genmaicha and Kukicha. In more recent years, the popularity of Matcha in modern cuisine around the world has brought up new creations such as sorbet, iced match latte, macarons, cookies or brownies – all shining in the striking green of the Matcha powder. The preparation of Matcha (Japanese for ‘powdered tea’) probably originated in the 6th century in China. The tea leaves were dried as a medicinal plant and ground to a fine powder. This medicine was traditionally made and also mainly consumed in Buddhist monasteries. Out of this tradition, Zen and Chan Buddhists developed a first real tea ritual. While the tea ceremony gained popularity in China, a Buddhist monk called Eisai also introduced the tea to Japan. In 1191, he brought the first tea seeds in large quantities to the country. Although Matcha went into oblivion in China in the following centuries, Japanese Buddhists kept cultivating the green tea powder. Under the great tea master Sen no Rikyu, the Japanese tea ceremony evolved in the 16th century. Like this, it spread to all levels of society. This has persisted until today as an important part of Japanese culture. Find more food and drinks from Japan here.